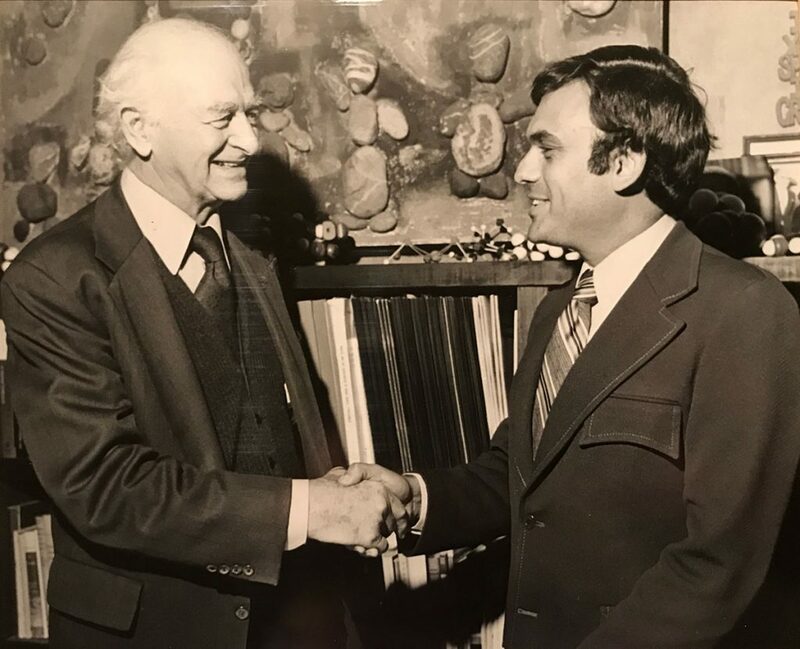 What an honor it was to spend some time with Dr Linus Pauling and his wife at their home near Palo Alto, California. I was working on a new updated edition to my book “Vitamin Bible”. I asked him what he was working on, so that I could put the latest research into my new updated edition. He said to me that Vitamin B2 is showing to have great benefits on preventing migraine headaches. Wow!! That was great news. I knew of his amazing research with Vitamin C and cancer, which he also shared with me . In fact, he carried around a test tube filled with Vitamin C crystals with him all the time. Every few hours, he would dissolve the contents of the test tube into a glass of water and drink it. He was a wonderful man. When you meet him, you just want to hug him. His lab was full of chemistry paraphernalia and the chalk board had all kinds of chemistry equations on it.